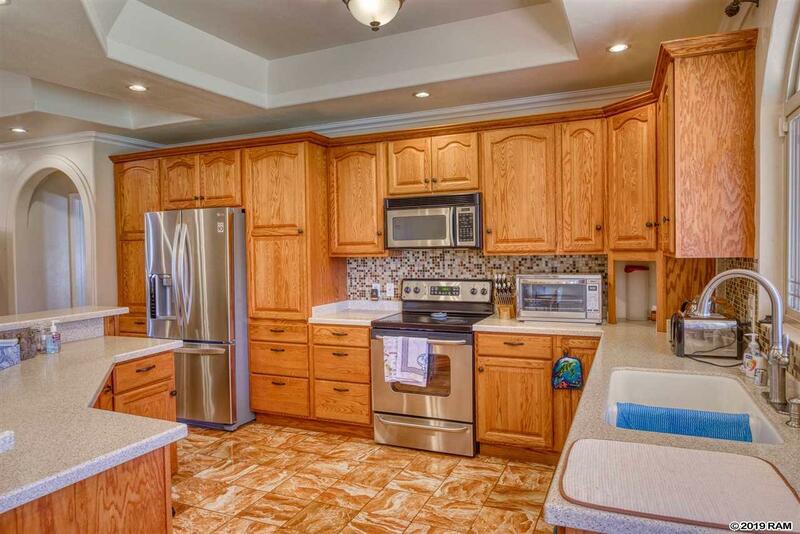 Single level well built 4 bedroom 3 bath home in Kihei Close to the beach. Energy efficient with masonry frame, Solar Hot water and 25 panel photo-voltaic owned system. Since the home was last purchased in 2014 a new laundry room with both interior and exterior entrance has been completed, a new master bathroom was upgraded, as well as, a new central air conditioning system was installed. Well cared for home with custom finishes, a large great room for entertaining, and a fully fenced yard with plenty of room for a pool, family and pets.